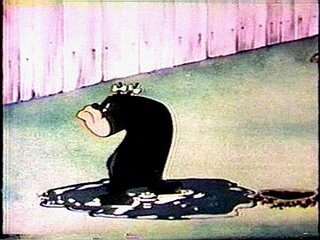 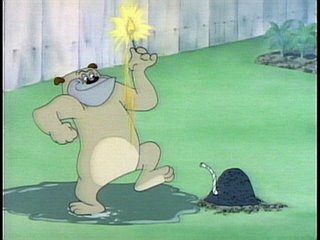 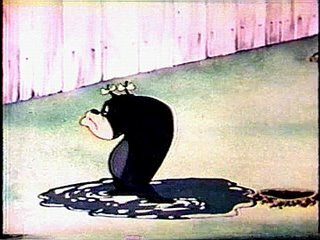 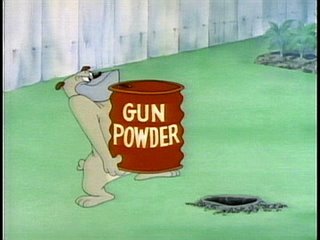 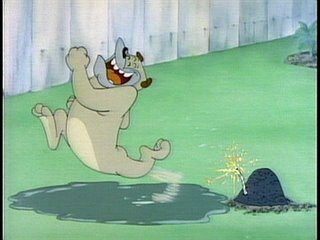 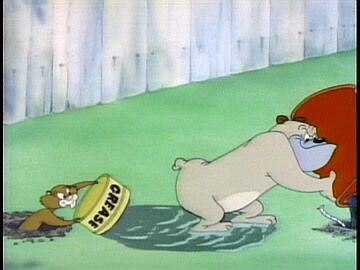 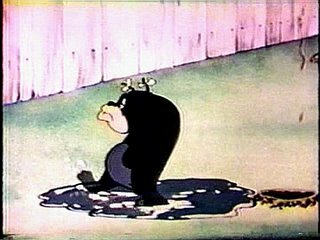 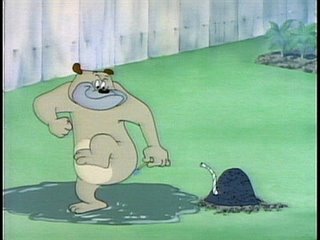 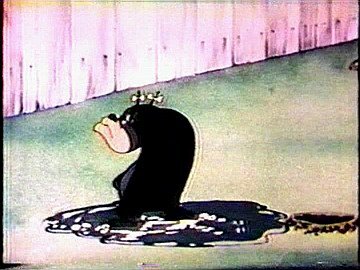 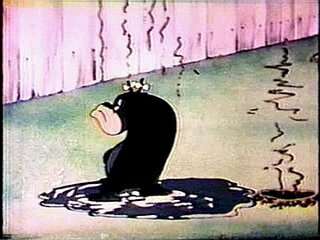 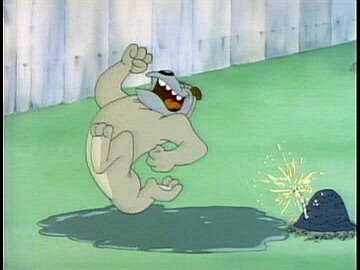 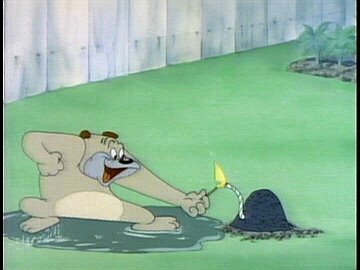 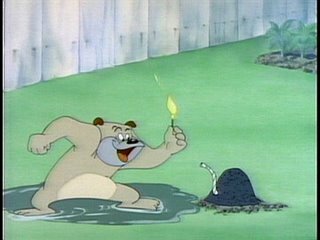 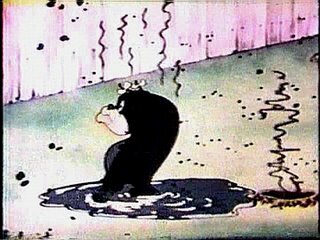 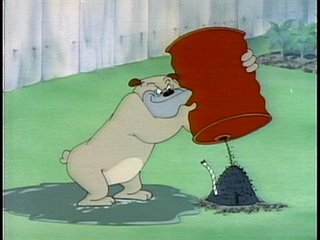 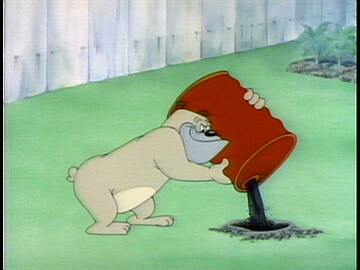 Best Cartoon Gallery: Did You Miss Me?- "Garden Gopher"
Did You Miss Me?- "Garden Gopher"
This funny Tex Avery cartoon was released with this cut even on the excellent "The Compleat Tex Avery" laserdisc boxed set. 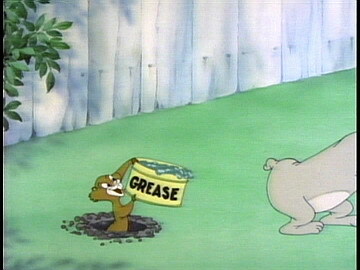 Here you can see this gag as originally intended. 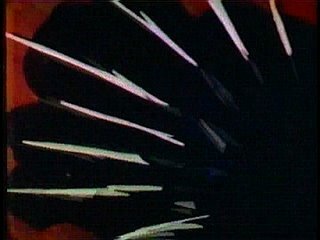 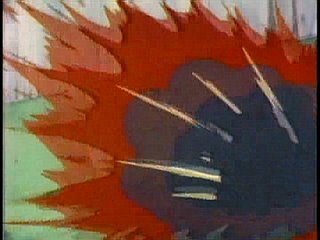 In many print, after the explosion, we cannot see the effect of the explosion on Spike.